I think we can call that the fountain of youth, don't you? 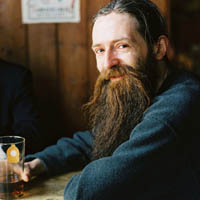 AUBREY DE GREY is a biomedical gerontologist and chairman and chief science officer of the Methuselah Foundation, a VA-based 501(c)(3). He is the author of some 80 articles and commentaries in peer-reviewed scientific journals, and of The Mitochondrial Free Radical Theory of Aging. He is coauthor (with Michael Rae) of Ending Aging: The Rejuvenation Breakthroughs That Could Reverse Human Aging in Our Lifetime. An important fact is that the therapies we develop in a decade or so in mice, and those that may come only a decade or two later for humans, will not be perfect. Other things being equal, there will be a residual accumulation of damage within our bodies, however frequently and thoroughly we apply these therapies, and we will eventually experience age-related decline and death just as now, only at a greater age. Probably not all that much greater either—probably only 30-50 years older than today. But other things won't be equal, and I'm going to explain why not—and why, as you may already know from other sources, I expect many people alive today to live to 1000 years of age and to avoid age-related health problems even at that age. I'll start by describing why it's unrealistic to expect these therapies to be perfect. The body is a machine, and that's both why it ages and why it can in principle be maintained. I have made a comparison with vintage cars, which are kept fully functional even 100 years after they were built, using the same maintenance technologies that kept them going 50 years ago when they were already far older than they were ever designed to be. More complex machines can also be kept going indefinitely, though the expense and expertise involved may mean that this never happens in practice because replacing the machine is a reasonable alternative. This sounds very much like a reason to suppose that the therapies we develop to stave off aging for a few decades will indeed be enough to stave it off indefinitely. But actually that's overoptimistic. All we can reliably infer from a comparison with man-made machines is that a truly comprehensive panel of therapies, which truly repairs everything that goes wrong with us as a result of aging, is possiblein principle—not that it is foreseeable. And in fact we can see that actually one thing about them is very unlike maintenance of a man-made machine: these therapies strive to minimally alter metabolism itself, and target only the initially inert side-effects of metabolism, whereas machine maintenance may involve adding extra things to the machinery itself (to the fuel or the oil of a car, for example). We can get away with this sort of invasive maintenance of man-made machines because we (well, some of us!) know how they work right down to the last detail, so we can be adequately sure that our intervention won't have unforeseen side-effects. With the body—even the body of a mouse—we are still profoundly ignorant of the details, so we have to sidestep our ignorance by interfering as little as possible. What that means for efficacy of therapies is that, as we fix more and more aspects of aging, you can bet that new aspects will be unmasked. These new things will not be fatal at a currently normal age, because if they were, we'd know about them already. But they'll be fatal eventually, unless we work out how to fix them too. Even within each existing category, there are some subcategories that will be easier to fix than others. For example, there are lots of chemically distinct cross-links responsible for stiffening our arteries; some of them may be broken with ALT-711 and related molecules, but others will surely need more sophisticated agents that have not yet been developed. Another example: obviating mitochondrial DNA by putting modified copies of it into the cell's chromosomes requires gene therapy, and thus far we have no gene therapy delivery system ("vector") that can safely get into all cells, so for the foreseeable future we'll probably only be able to protect a subset of cells from mtDNA mutations. Much better vectors will be needed if we are to reach all cells. In practice, therefore, therapies that rejuvenate 60-year-olds by 20 years will not work so well the second time around. When the therapies are applied for the first time, the people receiving them will have 60 years of "easy" damage (the types that the therapies can remove) and also 60 years of "difficult" damage. But by the time beneficiaries of these therapies have returned to biologically 60 (which, let's presume, will happen when they're chronologically about 80), the damage their bodies contain will consist of 20 years of "easy" damage and 80 years of "difficult" damage. Thus, the therapies will only rejuvenate them by a much smaller amount, say ten years. So they'll have to come back sooner for the third treatment, but that will benefit them even less… and very soon, just like Achilles catching up with the tortoise in Zeno's paradox, aging will get the better of them. An extremely counterintuitive fact is that, even though it will be much harder to double a middle-aged human's remaining lifespan than a middle-aged mouse's, multiplying that remaining lifespan by much larger factors—ten or 30, say—will be much easier in humans than in mice. I'm now going to switch briefly from science to the history of science, or more precisely the history of technology. This stark contrast between fundamental breakthroughs and incremental refinements of those breakthroughs is, I would contend, typical of the history of technological fields. Further, I would argue that it's not surprising: both psychologically and scientifically, bigger advances are harder to estimate the difficulty of. I mention all this, of course, because of what it tells us about the likely future progress of life extension therapies. Just as people were wrong for centuries about how hard it is to fly but eventually cracked it, we've been wrong since time immemorial about how hard aging is to combat but we'll eventually crack it too. But just as people have been pretty reliably correct about how to make better and better aircraft once they had the first one, we can expect to be pretty reliably correct about how to repair the damage of aging more and more comprehensively once we can do it a little. That's not to say it'll be easy, though. It'll take time, just as it took time to get from the Wright Flyer to Concorde. And that is why, if you want to live to 1000, you can count yourself lucky that you're a human and not a mouse. Let me take you through the scenario, step by step. Suppose we develop Robust Mouse Rejuvenation in 2016, and we take a few dozen two-year-old mice and duly treble their one-year remaining lifespans. That will mean that, rather than dying in 2017 as they otherwise would, they'll die in 2019. Well, maybe not—in particular, not if we can develop better therapies by 2018 that re-treble their remaining lifespan (which will by now be down to one year again). But remember, they'll be harder to repair the second time: their overall damage level may be the same as before they received the first therapies, but a higher proportion of that damage will be of types that those first therapies can't fix. So we'll only be able to achieve that re-trebling if the therapies we have available by 2018 are considerably more powerful than those that we had in 2016. And to be honest, the chance that we'll improve the relevant therapies that much in only two years is really pretty slim. In fact, the likely amount of progress in just two years is so small that it might as well be considered zero. Thus, our murine heroes will indeed die in 2019 (or 2020 at best), despite our best efforts. But now, suppose we develop Robust Human Rejuvenation in 2031, and we take a few dozen 60-year-old humans and duly double their 30-year remaining lifespans. By the time they come back in (say) 2051, biologically 60 again but chronologically 80, they'll need better therapies, just as the mice did in 2018. But luckily for them, we'll have had not two but twenty years to improve the therapies. And 20 years is a very respectable period of time in technology—long enough, in fact, that we will with very high probability have succeeded in developing sufficient improvements to the 2031 therapies so that those 80-year-olds can indeed be restored from biologically 60 to biologically 40, or even a little younger, despite their enrichment (relative to 2031) in harder-to-repair types of damage. So unlike the mice, these humans will have just as many years (20 or more) of youth before they need third-generation treatments as they did before the second. One feature of LEV that's worth pointing out is that we can accumulate lead-time. What I mean is that if we have a period in which we improve the therapies faster than we need to, that will allow us to have a subsequent period in which we don't improve them so fast. It's only the average rate of improvement, starting from the arrival of the first therapies that give us just 20 or 30 extra years, that needs to stay above the LEV threshold. In case you're having trouble assimilating all this, let me describe it in terms of the physical state of the body. Throughout this book, I've been discussing aging as the accumulation of molecular and cellular "damage" of various types, and I've highlighted the fact that a modest quantity of damage is no problem—metabolism just works around it, in the same way that a household only needs to put out the garbage once a week, not every hour. In those terms, the attainment and maintenance of escape velocity simply means that our best therapies must improve fast enough to outweigh the progressive shift in the composition of our aging damage to more repair-resistant forms, as the forms that are easier to repair are progressively eliminated by our therapies. If we can do this, the total amount of damage in each category can be kept permanently below the level that initiates functional decline. Another, perhaps simpler, way of looking at this is to consider the analogy with literal escape velocity, i.e. the overcoming of gravity. Suppose you're at the top of a cliff and you jump off. Your remaining life expectancy is short—and it gets shorter as you descend to the rocks below. This is exactly the same as with aging: the older you get, the less remaining time you can expect to live. The situation with the periodic arrival of ever better rejuvenation therapies is then a bit like jumping off a cliff with a jet-pack on your back. Initially the jetpack is turned off, but as you fall, you turn it on and it gives you a boost, slowing your fall. As you fall further, you turn up the power on the jetpack, and eventually you start to pull out of the dive and even start shooting upwards. And the further up you go, the easier it is to go even further. I've had a fairly difficult time convincing my colleagues in biogerontology of the feasibility of the various SENS components, but in general I've been successful once I've been given enough time to go through the details. When it comes to LEV, on the other hand, the reception to my proposals can best be described as blank incomprehension. This is not too surprising, in hindsight, because the LEV concept is even further distant from the sort of scientific thinking that my colleagues normally do than my other ideas are: it's not only an area of science that's distant from mainstream gerontology, it's not even science at all in the strict sense, but rather the history of technology. But I regard that as no excuse. The fact is, the history of technology is evidence, just like any other evidence, and scientists have no right to ignore it. Another big reason for my colleagues' resistance to the LEV concept is, of course, that if I'm seen to be right that achievement of LEV is foreseeable, they can no longer go around saying that they're working on postponing aging by a decade or two but no more. There is an intense fear within the senior gerontology community of being seen as having anything to do with radical life extension, with all the uncertainties that it will surely herald. They want nothing to do with such talk. You might think that my reaction to this would be to focus on the short term: to avoid antagonising my colleagues with the LEV concept and its implications of four-digit lifespans, in favour of increased emphasis on the fine details of getting the SENS strands to work in a first-generation form. But this is not an option for me, for one very simple and incontrovertible reason: I'm in this business to save lives. In order to maximise the number of lives saved—healthy years added to people's lives, if you'd prefer a more precise measure—I need to address the whole picture. And that means ensuring that the general public appreciate the importance of this work enough to motivate its funding. Now, your first thought may be: hang on, if indefinite life extension is so unpalatable, wouldn't funding be attracted more easily by keeping quiet about it? Well, no—and for a pretty good reason. The eagerness of extremely wealthy individuals to contribute to world health is, in more general terms, an enormous boost for SENS. This is mainly because a rising tide raises all boats: once it has become acceptable (even meritorious) among that community to be seen as a large-scale health philanthropist, those with "only" a billion or two to their name will be keener to join the trend than if it is seen as a crazy way to spend your hard-earned money. But there's a catch. That logic only works if the moral status of SENS is seen to compare with that of the efforts that are now being funded so well. And that's where LEV makes all the difference. SENS therapies will be expensive to develop and expensive to administer, at least at first. Let's consider how the prospect of spending all that money might be received if the ultimate benefit would be only to add a couple of decades to the lives of people who are already living longer than most in the developing world, after which those people would suffer the same duration of functional decline that they do now. It's not exactly the world's most morally imperative action, is it? Indeed, I would go so far as to say that, if I were in control of a few billion dollars, I would be quite hesitant to spend it on such a marginal improvement in the overall quality and quantity of life of those who are already doing better in that respect than most, when the alternative exists of making a similar or greater improvement to the quality and quantity of life of the world's less fortunate inhabitants. The LEV concept doesn't make much difference in the short term to who would benefit from these therapies, of course: it will necessarily be those who currently die of aging, so in the first instance it will predominantly be those in wealthy nations. But there is a very widespread appreciation in the industrialised world—an appreciation that, I feel, extends to the wealthy sectors of society—that progress in the long term relies on aiming high, and in particular that the moral imperative to help those at the rear of the field to catch up is balanced by the moral imperative to maximise the average rate of progress across the whole population, which initially means helping those who are already ahead. The fact that SENS is likely to lead to LEV means that developing SENS gives a huge boost to the quality and quantity of life of whomever receives it: so huge, in fact, that there is no problem justifying it in comparison the alternative uses to which a similar sum of money might be put. The fact that lifespan is extended indefinitely rather than by only a couple of decades is only part of the difference that LEV makes, of course: arguably an even more important difference in terms of the benefit that SENS gives is that the whole of that life will be youthful, right up until a beneficiary mistimes the speed of an oncoming truck. The average quality of life, therefore, will rise much more than if all that was in prospect were a shift from (say) 7:1 to 9:1 in the ratio of healthy life to frail life. I hope I have closed down the remaining escape routes that might still have remained for those still seeking ways to defend a rejection of the SENS agenda. I have shown that SENS can be functionally equivalent to a way to eliminate aging completely, even though in actual therapeutic terms it will only be able to postpone aging by a finite amount at any given moment in time. I've also shown that this makes it morally just as desirable—imperative, even—as the many efforts into which a large amount of private philanthropic funding is already being injected. I'm not complacent though: I know that people are quite ingenious when it comes to finding ways to avoid combating aging. Thus, in order to keep a few steps ahead, I have recently embarked on a collaboration with a stupendous programmer and futurist named Chris Phoenix, in which we are determining the precise degree of healthy life extension that one can expect from a given rate of progress in improving the SENS therapies. This is leading to a series of publications highlighting a variety of scenarios, but the short answer is that no wool has been pulled over your eyes above: the rate of progress we need to achieve starts out at roughly a doubling of the efficacy of the SENS therapies every 40 years and actually declines thereafter. By "doubling of efficacy" I mean a halving of the amount of damage that still cannot be repaired. I first used the phrase "escape velocity" in print in the paper arising from the second SENS workshop—de Grey ADNJ, Baynes JW, Berd D, Heward CB, Pawelec G, Stock G. Is human aging still mysterious enough to be left only to scientists? BioEssays 2002;24(7):667-676. My first thorough description of the concept, however, didn't appear until two years later: de Grey ADNJ. Escape velocity: why the prospect of extreme human life extension matters now. PLoS Biology 2004;2(6):e187. Buffett's decision to donate most of his wealth to the Gates Foundation was announced in June 2006 and is the largest act of charitable giving in United States history.